Stream anime episodes online for free, Watch One piece Episode 39 English version online and free episodes. Anime Episode guide One piece Episode 39 English dubbed Luffy Submerged! Zoro vs. Hatchan the Octopus! 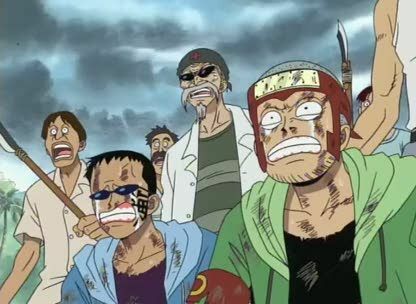 Arlong has trapped Luffy in the ocean and Zoro faces the six-sword wielding octopus Hatchan.